A busy day, so I will try to keep this brief. 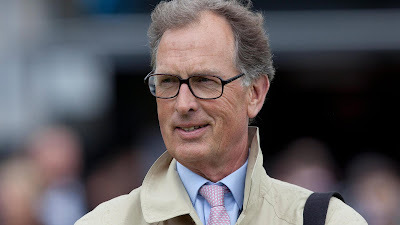 Roger Charlton's Headman makes a return after a stylish victory on debut. This son of Kingman ran out an easy winner at Newcastle over one mile. Drops back a furlong today and has to give away seven pounds in weight. The penalties can be hard work for the best of horses. A wide draw is another negative to be considered. However, if connections have lofty dreams, they will most surely be expecting a win. Note: Time may tell Headman was beaten by a talent. It is never easy to defy these win penalties and, perhaps, unlucky to bump into another good juvenile. The only significantly-entered two-year-old on the day. I will post this now, as I don't think you will be missing too much. Just noticed this entrant, too (thanks, Craig). Global Spectrum. Difficult to know what to think about Gay Kelleway's debutante as most of her two-year-olds have been limited this season. This bay colt is well bred, well owned and cost 130,000 guineas at the breeze-up sales. A wide draw isn't ideal. The main interest is the price. 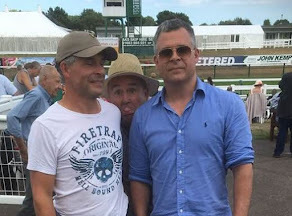 Bookies have this horse at 22/1. It may be the case it drifts out to 50/1. Conversely, it may be backed. I will have a small each-way bet if touching huge odds on the exchanges and cross my fingers. Note: What do we keep saying...another easy winner at huge odds. Touched 25 on the exchanges. Remember Group Horse details horses of the highest standard that win. Full result: Global Spectrum WINS!!!!!!!!! All readers should thank Craig for this because I had missed it and it wouldn't have been on this page but I only added it as I had detailed Headman because it was odds-on.